Before you develop a white paper or other major piece of content, you need a creative brief that outlines your objectives and sets you on the right track. Although many organizations have a standard creative brief, they may not have one containing all of the questions that you must answer to create an effective white paper. Here is a list of the questions that I use in my standard white paper creative brief. Although I mention “white papers” throughout, many of these questions also apply to reports and ebooks. 1. What is the white paper’s topic? 2. Why are you creating this white paper? It’s important to be clear on why you’re doing it before you jump into the project. How will it help you advance your marketing goals? For example, is it to generate leads for a new product, build your thought leadership, increase your opt-ins, etc.? 3. What is the deadline? Include deadlines for the first drafts, rounds of revisions and final copy and design. 4. 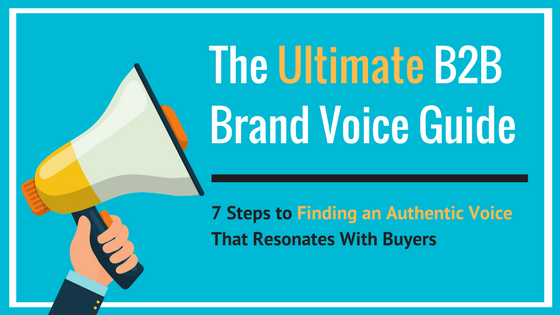 In what stage of the selling process will you use this white paper? A white paper for early-stage leads will be very different than one for someone who is considering your product and is almost ready to buy. 5. Who is your ideal reader? What is their job role? What are their key pains that would drive them to read this white paper? 7. How will your readers benefit from reading this white paper? What will they learn? List primary and secondary benefits. 8. What is happening to your readers, or in your industry, that makes this white paper relevant? These are the market drivers. It’s important to cite statistics that support these in the white paper. 9. Which of your audience’s key pains will this white paper address? 10. How is this problem affecting them? Is it impacting their company’s bottom line? Does it affect their ability to perform their job? Is it impacting their customers? Does it affect their personal lives? Be as specific as possible. 11. Why haven’t your readers solved this problem on their own? What is standing in their way? Are they trying to do something about it or maintaining the status quo? 12. What are the risks of not solving the problem? These can be the risks associated with maintaining the status quo, implementing the wrong solution or choosing the wrong vendor. For example, will they lose customers or fall behind their competitors? 13. What solution will help your readers solve their key problem? Please speak of the solution in general terms without describing your product or service. For example, if their problem is poor landing page conversions, and you sell ABC Landing Page Optimization Software, the answer can be “optimizing your landing pages” or “improving your content”. 14. What are the benefits of implementing this solution? List as many benefits as possible. 15. Do you have anything in mind for the white paper’s “key considerations” list? 16. What specific solution would you like to promote at the end of the white paper? This is where you can describe your product or service. What are its features? You can also provide links to background information about this solution. 17. How does your product or service help solve your readers’ problems? What are the product’s benefits? 18. What would you like your readers to do after they read the white paper? This will be used in the call to action. If you would like them to contact your sales team, provide the correct email address and phone number. If you would like them to visit a web page, please provide a link to the page. 19. What tone would you like to use throughout this white paper? For example, would you like it to sound educational, professional or conversational? Do you have a corporate branding and style guide that you must follow? Do you have examples of other white papers that use the correct tone? 20. Provide the name, phone number and email address for anyone you want to interview for the white paper. These people can be anyone outside of your company who can provide valuable insights that lend credibility to the white paper, such as analysts and industry thought leaders. 21. List any sources you think would be valuable for background research. These can include internal or external websites, reports, surveys, studies, press releases, presentations, articles, data sheets, brochures and other materials. Answering these questions will provide you with a solid foundation to build your next white paper. However, feel free to adjust this creative brief as you see necessary. You can also download a Word copy of this white paper creative brief so you don’t need to copy and paste these questions. If there are any questions you think I’ve missed, or if you have any other comments or questions about this lesson, please respond in the comments section below.